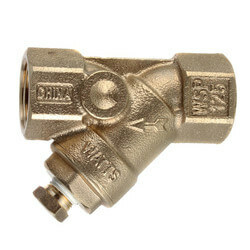 Wye strainers (Y-Strainers) remove solids from steam, gases, and hydronic systems with the use of a wire mesh straining screen. 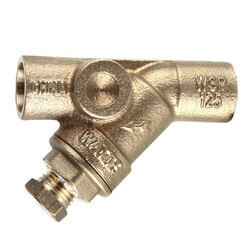 Wye strainers derive their name from their configuration which includes a branch angled off the flow path forming a Y pattern. 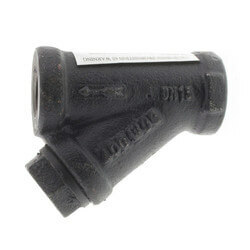 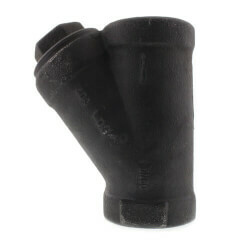 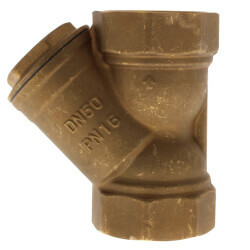 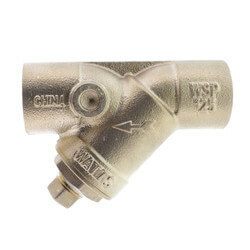 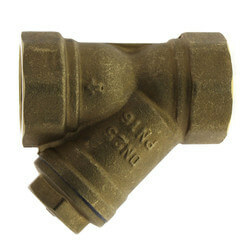 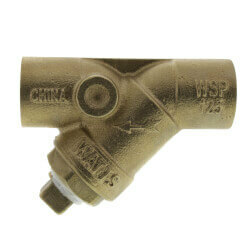 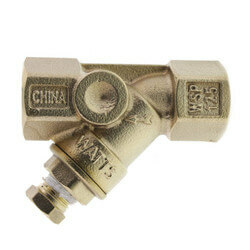 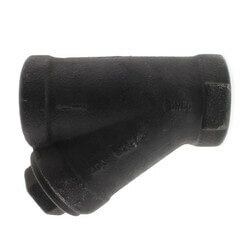 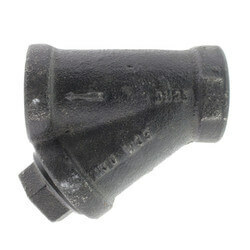 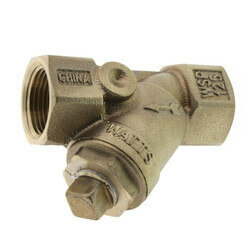 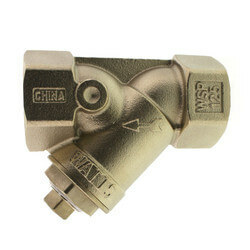 These unique valves are commonly used to protect equipment such as pumps, control valves, steam traps, etc. 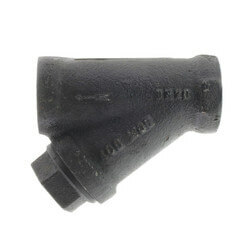 from dirt or debris. 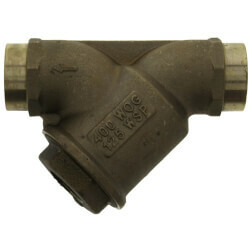 Wye strainers are a cost effective solution when the amount of debris in a system is small and frequent cleaning is not needed. 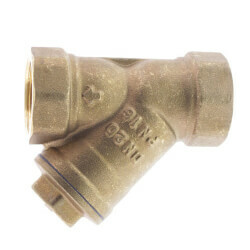 The strainer screen is manually cleaned by shutting down the line and removing the strainer cap. 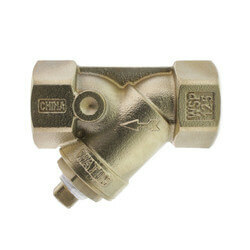 They are commonly installed in gaseous systems such as steam, natural gas, or air. 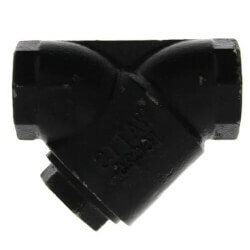 The compact shape of the Y-strainer is durable and can accommodate high pressures that are common in these types of systems. 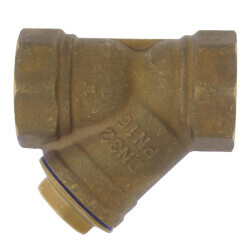 For handling steam, a Y-Strainer is the standard and is almost universally used. 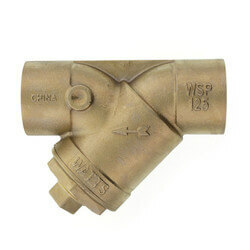 A wye strainer may be installed either horizontally or vertically. 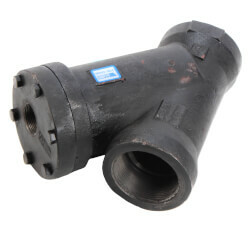 However, in both cases, the mesh screen or "leg" must be facing down so the entrapped solids can be properly collected and held for disposal. 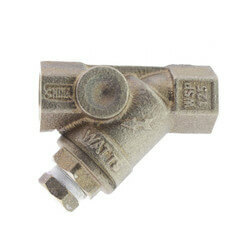 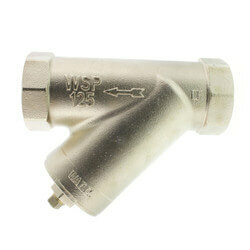 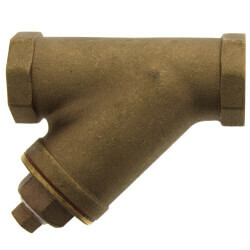 Wye Strainers are generally made of cast iron or bronze. 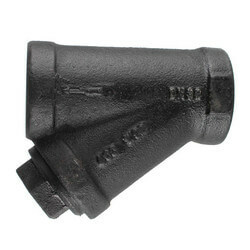 Iron is used most often because it is the most economical, and has good corrosion resistance in most applications. 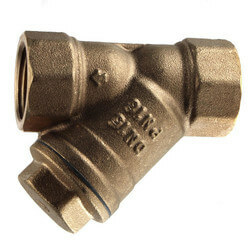 Bronze handles thermal and mechanical shock better, is better in some corrosive applications, but has a limited temperature range. 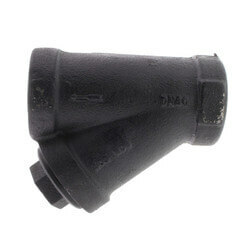 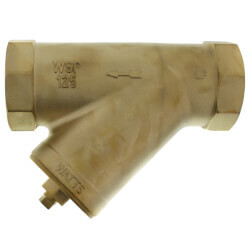 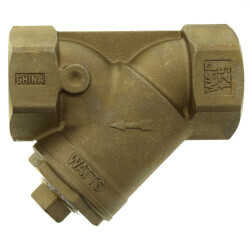 We offer a wide selection of Hydrovalve, Watts, and Febco wye Strainers for residential or commercial applications.